How long have you been writing? Has writing always been something you wanted to do? I’ve been writing since I was a teen, but I didn’t publish anything until college. I put off going to college until I was in my late 20s. 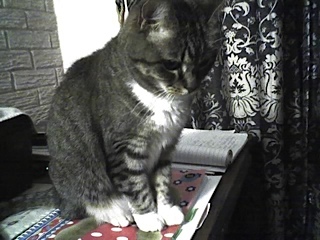 Then, I enrolled in every creative writing course I could find. Until that point, I’d been sending out short fiction of the basement variety; you know, the kind that should really remain down in that trunk in the basement? But after a few excellent instructors, I began to see the error of my ways. What books or stories have you written? My first book was just published in December by Cool Well Press. 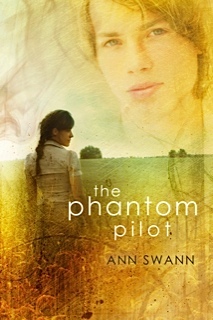 “The Phantom Pilot” is a YA novella about a boy who witnesses a small plane crash behind his house. When the phantom pilot begins to haunt him, he enlists the aid of his pal, Stevie. He thinks she is brave because he saw her entering the town’s legendary haunted house, alone! I’ve also just signed the contract to publish the second book in the “Phantom” series: “The Phantom Student.” It will be out around Halloween. In addition, I’ve written three short stories for Cool Well. “The Soul Gardener” will be published in their anthology “Timeless.” It is coming out next month around Valentine’s Day. “Skeleton Rock” and “The Blister Bear” are stories that will be in “Campfire Tales.” That anthology will be published later this year, around September I believe. I think the hardest thing I’ve had to overcome is self-doubt. When you have to work a full-time job and be a mommy and a wife, it’s really difficult to stand up and say, “Hey, I’m a writer. I’m going to go in this room and close the door, and I won’t be seen again until I’ve written!” Haha. That really is the hard part. Accepting that you must put writing first if you’re going to succeed. Believe in yourself, but listen to the experts! Writing is a lifesaver. When something is wrong in my life, I have to write about it. I “write it out” so to speak. Has writing made you a better person? Was there a point in your life where writing helped you deal with something, a death or a problem relationship perhaps? Haha! I guess I sort of answered this one already. Yes, I’ve had to deal with trauma and death, first my estranged dad then, more recently, my mom. Writing has been my confidant; it goes right along with the old adage about books being our best friends. Well, they were my best friends anyway. 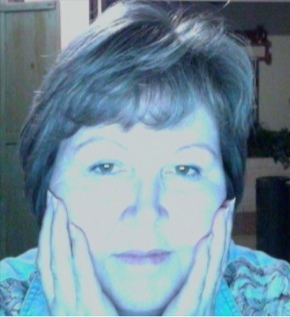 Ann currently works part-time as a researcher for an online journal “The Courthouse News Service.” She writes full-time. Married for many years to her handsome hubby, Dude, they live in dusty west Texas, and share the care and feeding of two rescue dogs and a rescue cat. Their children and grandchildren live only a short distance away which makes it great for drop-in visits and trips to Six Flags and Disneyland. In previous incarnations, through the years, Ann has been a waitress, a 911 dispatcher, an elementary school teacher and a radio station secretary. She blogs at annswann.blogspot.com and annswann.com. She would love to connect on Twitter. “The Phantom Pilot” is available at Amazon. This entry was posted in accomplishments, animals, pets, dreams, family and friends, Home life, hopes, social and mobile media, spiritual, inspiration, Work life by jbournesblog. Bookmark the permalink.